We’ve been building this site for a while and I have to admit that I’ve been stockpiling pairings to share, so the first few might be a little longer than usual. What can I say? I'm excited. I’ll start with a couple of great pairings I had on a trip to Chicago in the fall. Both of these wines happen to be from the south of France. I am really partial to GSM’s to begin with, but these just served as a great reminder of how well these wines work with rustic, gamey fare. Neither is particularly expensive either, going to show that you don’t have to spend much to have a fantastic pairing. I apologize in advance that I forgot to note the vintage on both of these. The first was a biodynamic Mourvèdre from Chateau La Roque from Pic Saint Loup in the Languedoc (more info here). Greg (my husband) and I had this with the decadent cassoulet at Maude’s Liqour Bar in the West Loop. 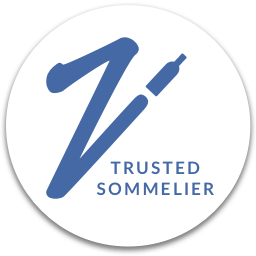 The wine took a little while to open up–I would definitely recommend decanting–but once it did, it paired wonderfully with the food. The match once again proved the “if it grows together, it goes together” rule, as cassoulet also originated in the Languedoc. The next funktastic match also happens to be a natural wine. We had the Château Terre Fort Côtes du Rhône Rouge! (More info here.) It was fun, fresh and easy drinking and went fantastically with a beautiful quail dish (at top) and the silkiest plate of sweetbreads ever at beautiful El Che Bar, also in the West Loop. One more match up from an event back at home. Every month I attend a bottle share where everyone brings a bottle on a theme to share. One recent event happened to be a potluck where everyone was also asked to bring a dish to share, as well as a Northern Italian bottling–the theme of the month. My friend Josh brought a Merlot-Cab Blend. Not all that unusual, right? 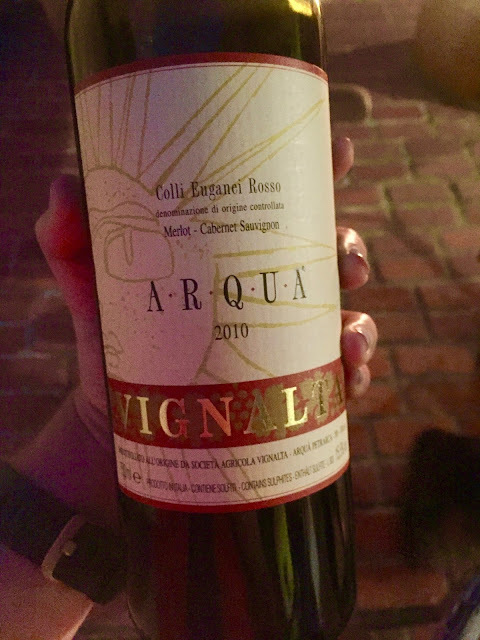 This bottle of Vignalta Arqua Colli Euganei Rosso 2010 comes from a region in the Veneto rich in volcanic soils not far from Padua. (More on Colli Euganei.) This region was all new to me and certainly had a terroir signature which made these old hat varietals new again. Beyond that, Josh is a very good cook and when he was thinking of what to bring to this potluck, he considered that the region is really not all that far from the Austrian border. A light bulb went off and he decided on goulash as the pairing. It was a really fantastic combo! It was dark so I do not have a good picture to share of the food itself, however, he was nice enough to send me a link to the recipe.